Pokemon Stadium Nintendo 64 Game cartridge Cleaned Tested and Guaranteed to Work! 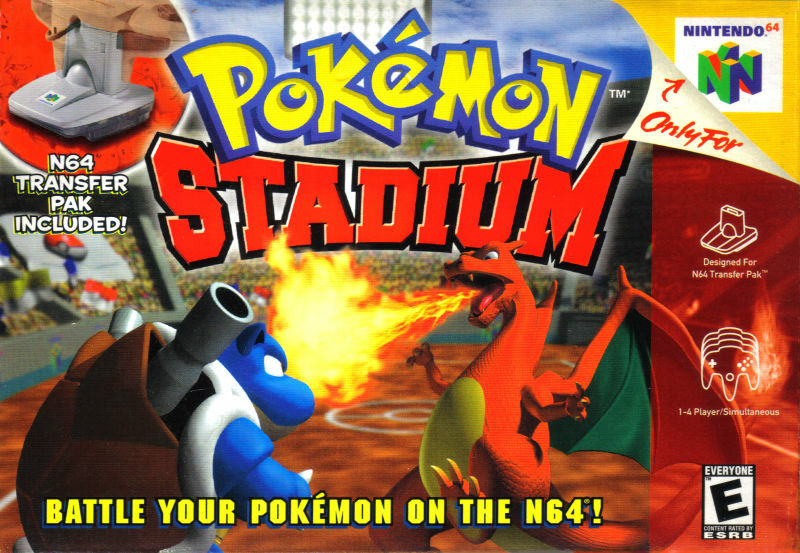 Pokemon Stadium for Nintendo 64 is a strategy fighting game. Rent a Pokemon or download your own with the Game Boy Transfer Pak and then start battling your pokemon in 3D. Pokemon Stadium lets you battle the computer or go head-to-head against up to three friends to find out who is the true Pokemon Master! 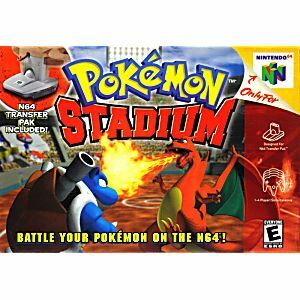 I was very worried about ordering games online at first, but once Pokémon Stadium arrived in PERFECT condition I was INLOVE all over AGAIN!! Thanks to Lukie Games I'm able to relive my childhood memories all over again! I've been waiting 15 years for this!! THANK YOU!! CLASSIC!!! A CLASSIC GAME!!! I LOVE LUKIE!!! Extremely affordable price and reliable shipping. It's amazing to be able to play this game again! It works perfectly and it came fast as well! Couldn't be happier! 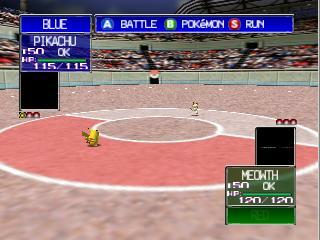 Pokemon Stadium is a great game. My grandmother bought this game for me as it was a game I enjoyed playing back when I was just a little 4 year old boy. It plays great and looks to be in great condition (almost as if it were new). I highly recommend LukieGames when it comes to buying classic video games off the internet. Very good, brought back a lot of nostalgia! Received the game fairly quickly, the game showed some wear and tear but worked perfectly. At the time I paid 13$ for it much cheaper than any I found elsewhere!! Will buy all my games from them from now on. One of my fav. games on the N64 growing up, glad to have it back in my collection. The game was in good condition, as always with my other reviews I recommend this site. I received my copy and it was flawless! Me and my friends play all the time now!! We're 26 by the way! This is the best site in the world. I will definitely be ordering more games!! This was a gift and my little brother loved it, And I love it too! Brought back the nostalgia feels for sure. Only one thing bother me and that was there was presaved data on the cartridge. But still love it! !